This 223 Rem cartridge from Remington’s Premier Match line of ammunition is crowned with Sierra’s 69 grain MatchKing projectile. Optimized for target shooting, the MatchKing’s jacket is remarkably uniform in thickness and exhibits virtually no deviation in its concentricity. This bullet’s hollow point meplat serves to prevent wind deflection while in flight, and its boat tail design raises its ballistic coefficient, lessens the amount of turbulence it leaves behind it, flattens its accuracy, enables it to retain more momentum downrange, and provides additional protection against the influence of cross winds. 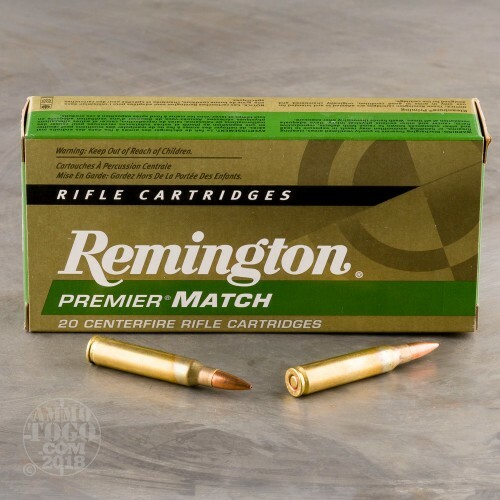 Whether you’re shooting competitively or only to see what you and your rifle are capable of, then this round’s certain to take care of business. 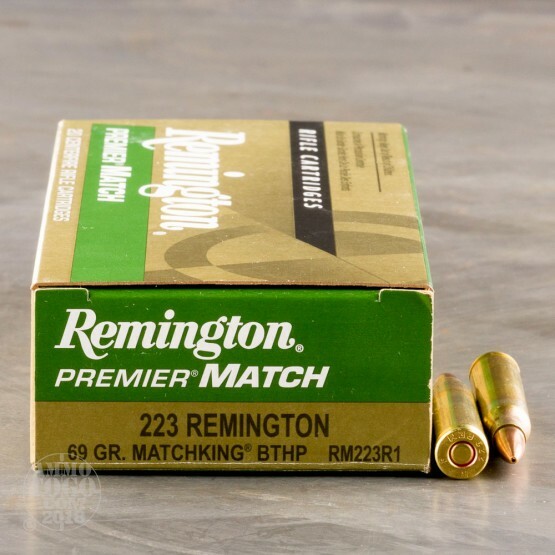 Remington didn’t shortchange Sierra by giving their bullet shoddy supporting components. 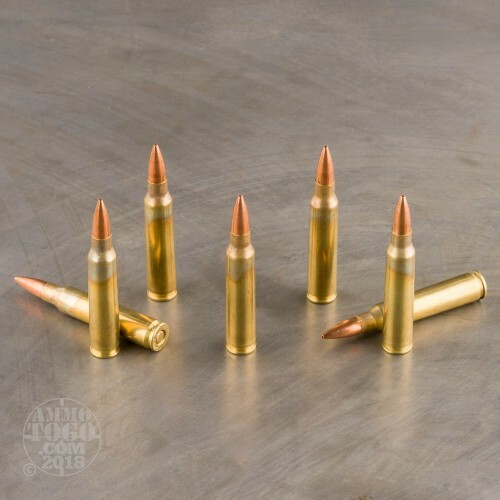 These 20 rounds’ brass casings are all identical to one another, as are their propellant loads. 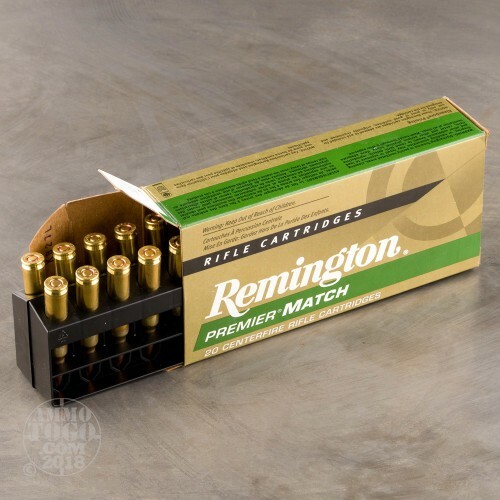 A Remington round’s primer is always non-corrosive, so your action won’t part with any of its integrity for having fired one of these tack drivers.